Where do my plants come from? I am one happy gardener and love picking up plants from friends and neighbors yards. I buy a few here and there and grow a few from seed as well. This is literally where they come from but my question has more to do with the history of plants. What is their origin? And what is there story? I never really thought about the origin of the plants in my garden until this week when I was looking up information on a hot pepper I am growing in my garden. 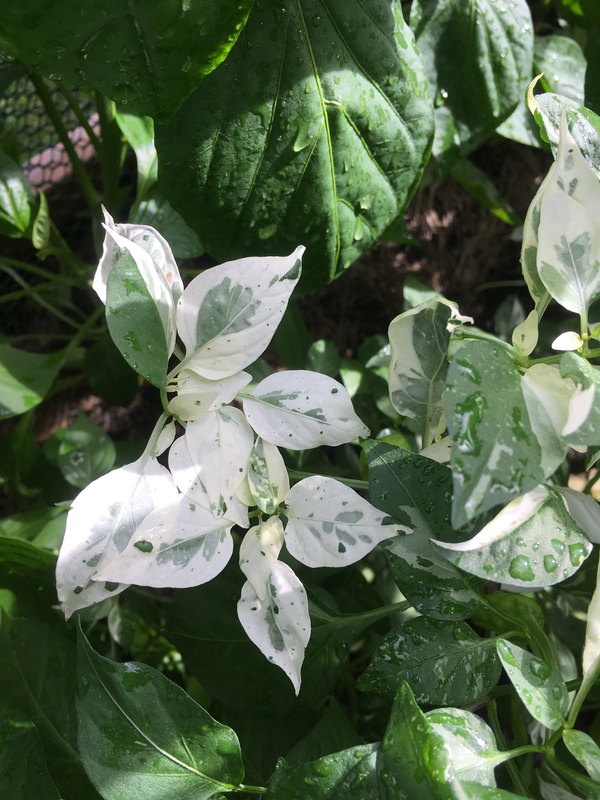 This beautiful plant had a great story to tell if I was willing to do a bit of searching. I wrote about it over on my gardening blog – click here to get the story of Hot Fish Peppers. 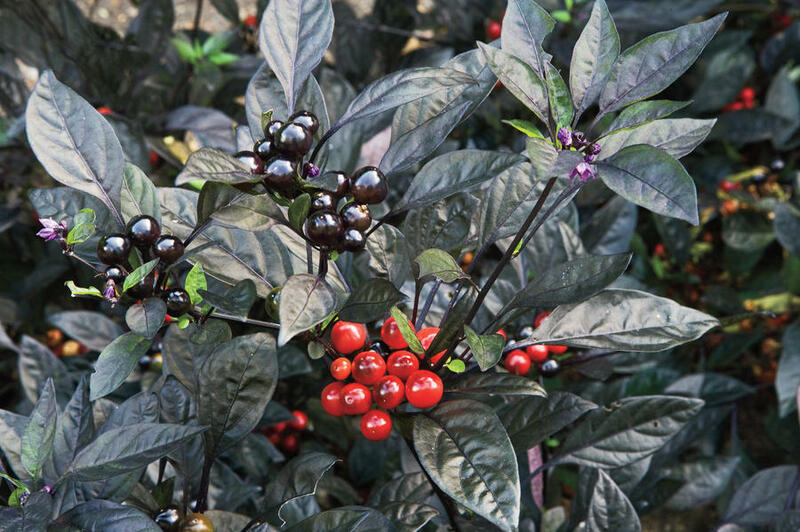 I then began to wonder about other plants like the Black Pearl Pepper (Capsicum annuum). I found this beauty late last year in a city park. I started this plant from seed in the spring. My plant is not doing so well but will try again next year. This plants history came right from the horticultural lab. It did not have a magical trip from somewhere in the world. It was developed by cross breeding of two cultivars and test growing for a few years. 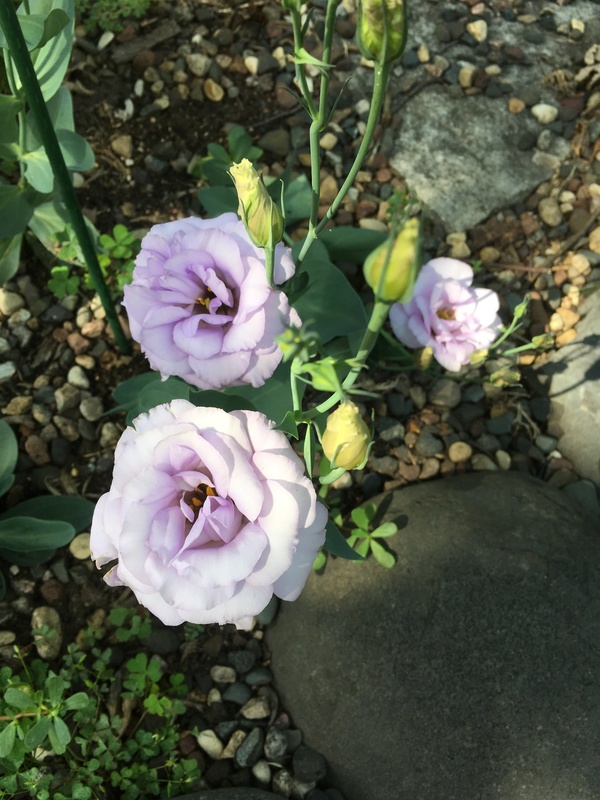 The Lisianthus has just started blooming in my small stone garden in the back yard. It has its roots as a prairie flower that comes from Mexico or the Texas area of the United States. The Lisianthus is often called the ‘poor man’s rose’, due to its striking similarity. This plant came to me by way of my neighbors extra seedlings that I stuck in the stone garden. 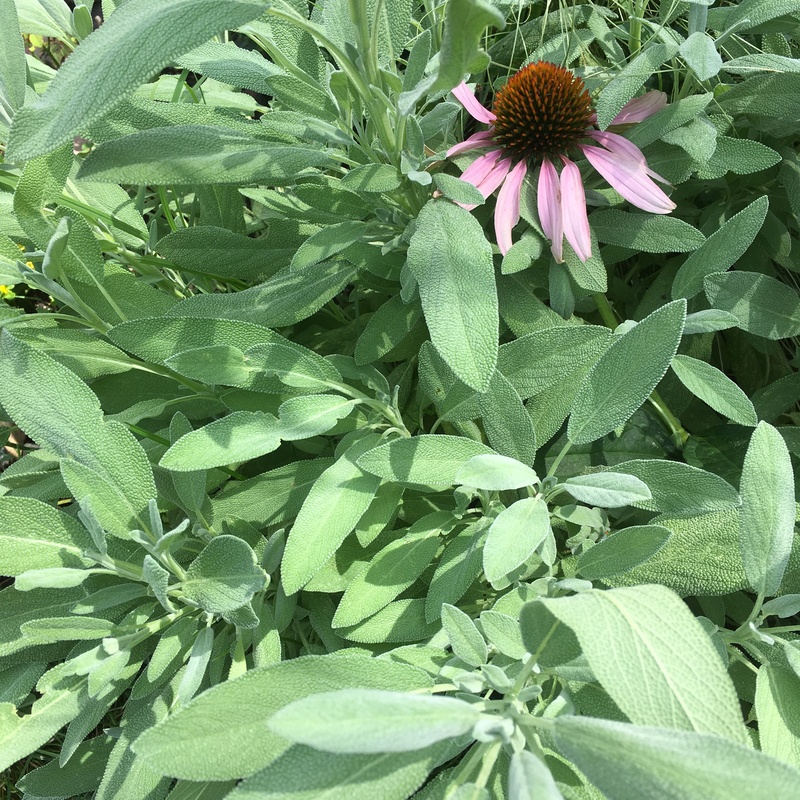 As I walk the garden and look at the flowers I realize that there are plants whose origins are from China, Turkey and the prairie of the United States. 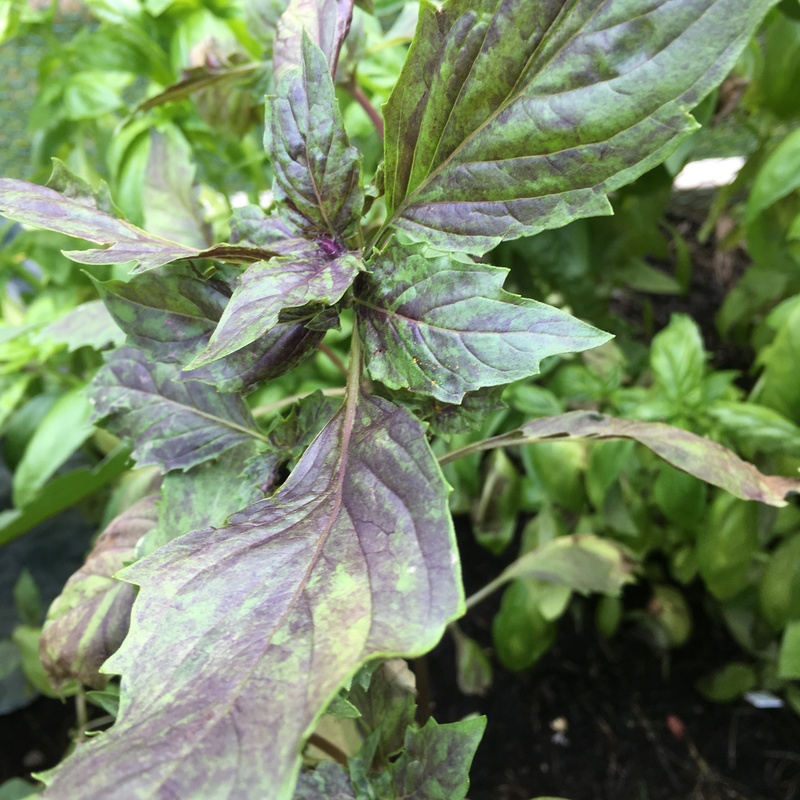 If we start talking about the herbs like my basil, lavender, sage and oregano we are off on another journey to Asia or the Mediterranean. 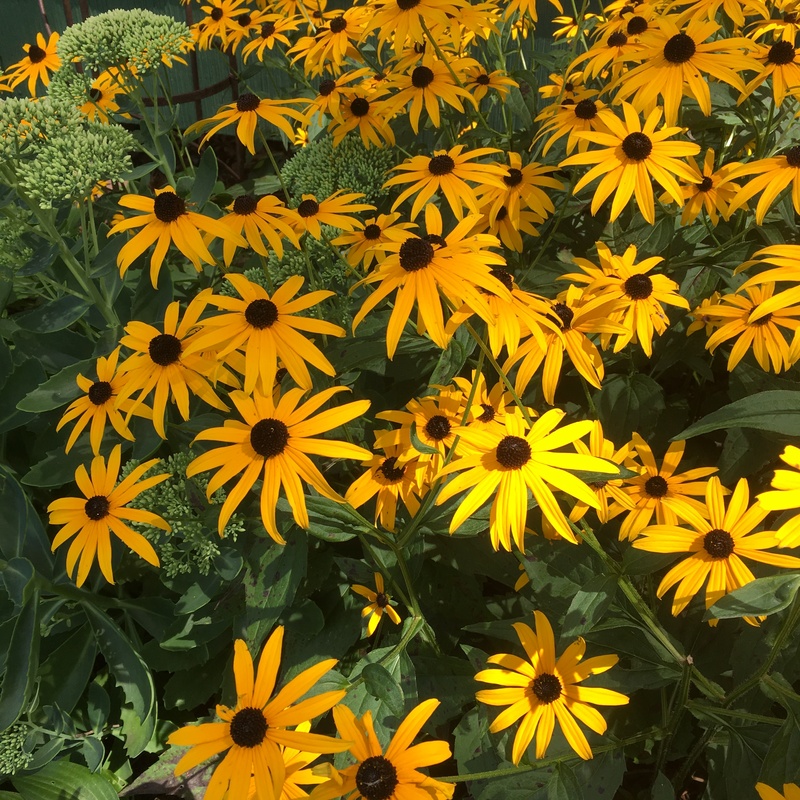 Then there are the plants like the Black Eyed Susan’s (Rudbeckia) that are native to the plains here in the United States and yet have a great tale in Old English Poetry and there is also the Swedish connection in the name Rudbeckia coming from the scientist Olof Rudbeck the Elder and his son. You can read more about these tales at the American Meadows web site. Who knew there was a whole world right in my garden with so many stories to tell! What stories do you plants have to tell you? This entry was posted in gardens, Reflection and tagged plant origin. Bookmark the permalink. 9 Responses to Where do my plants come from? What a wonderful journey your simple “wonder question” took you on! Now you have me wondering. Thanks for sharing. I just read Jennifer Laffin’s slice of life today about barn swallow babies. She mentioned Ralph Fletcher’s “exploratory notebook”… so I looked up his book that can be previewed on Stenhouse.com… and then I pulled out a favorite book of mine–Keeping a Nature Journal by Clare Leslie & Charles Roth… which then brought me back to you and your post “where do my plants come from.” And I just had to share it with you! Very nice. Thanks for sharing – I will have to follow your exploration! This is great! I don’t hardly know any names of the plants in my garden, but I know where they come from. Where it was bought and why, who planted those flowers, who gave that plant etc. For the names I will have to turn to my “garden fairy” (=my neighbor) to tell me the names and how to care for them. Nice to have a friend next door with names! Gardens are all about communities! I really do admire the dedication to your garden. You’ve been working on it and blogging about it for so long now, and your knowledge is growing, growing, growing right along with the plants! Beautiful garden! I’ll have to start listening to the stories my plants are telling. Your plants are like garden friends. You know each so well.